Dolce & Gabbana - These gold-tone brass earrings encapsulates Dolce & Gabbana's house's high-octane aesthetic. 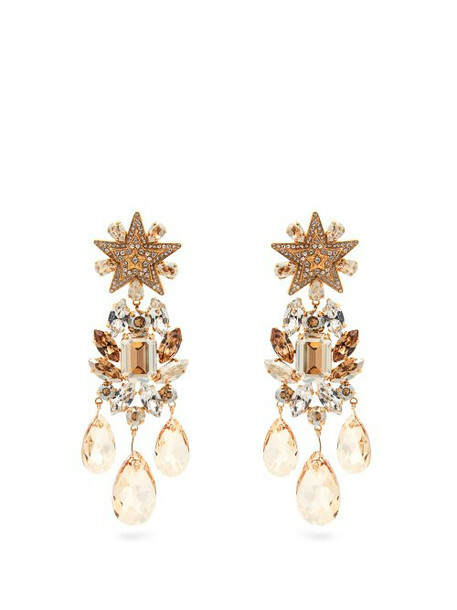 They're crafted in Italy with a star-shaped stud that secures with a clip-on fastening, then falls to an oversized crystal-embellished floral motif, complete with coordinating faceted drops. Style them as the leading accessory to a floral-print blouse for a mid-week dinner date.